Like so many others in marketing, one of the first books I read was Influence. Today this is required reading for anyone trying to persuade through writing, messaging, speaking – pretty much any form of communication. The principles outlined in this book have stood the test of time. So, it’s a pretty darn big deal when the author of said book, Dr. Robert Cialdini decides it is time to add to the conversion slightly 30 years later. 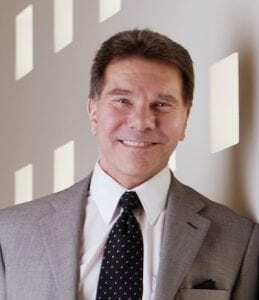 My guest for this week’s episode of the Duct Tape Marketing Podcast is Dr. Robert Cialdini, author of the legendary NY Times Bestseller book, Influence (which sold over 3 million copies and has been published in over 30 languages.) He is also the founder of Influence at Work and author to a new book called Pre-Suasion: A Revolutionary Way to Influence and Persuade. Robert and I talk about the science behind communication and how the message before the message is key. Dr. Robert Cialdini, frequently regarded as the “Godfather of Influence,” knows all about persuasion, compliance, and negotiation. His books are the result of decades of peer-reviewed research on why people comply with requests. Can you describe for us the research that went into your newest book, Pre-Suasion? Do we need social proof and consistency for this kind of pre-suasion to be effective? Some people may view this as “tricking.” Are there unethical elements in influencing? Learn more about Robert Cialdini and Influence at Work here. Buy Robert’s book, Pre-Suasion: A Revolutionary Way to Influence and Persuade, here.